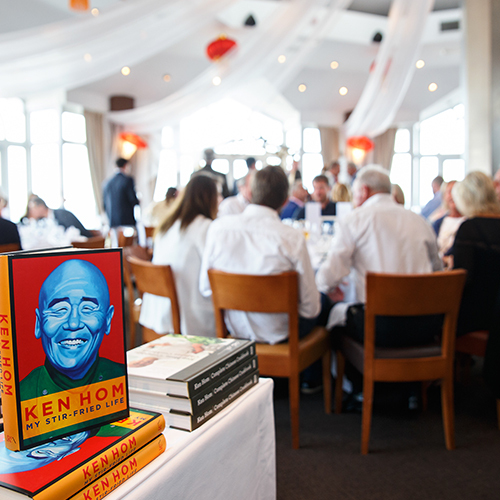 Over 70 guests enjoyed an evening With Ken Hom OBE at the Sandbanks Hotel in Poole. 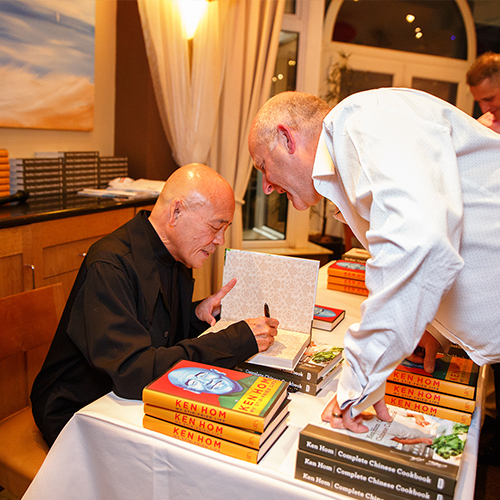 On Saturday 20th May 2017, Ken Hom OBE came to the Sandbanks Hotel to celebrate ‘Ocean Palace at Sandbanks’ Chinese restaurant’a first year anniversary. 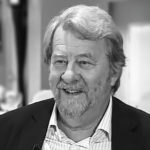 The evening was a huge success – after mingling during drinks and canapés Ken welcomed guests into the restaurant to enjoy a three-course banquet that he designed himself. During the evening two titles from Ken’s catalogue of books were put up for sale and over £450 was raised for Action Against Hunger. 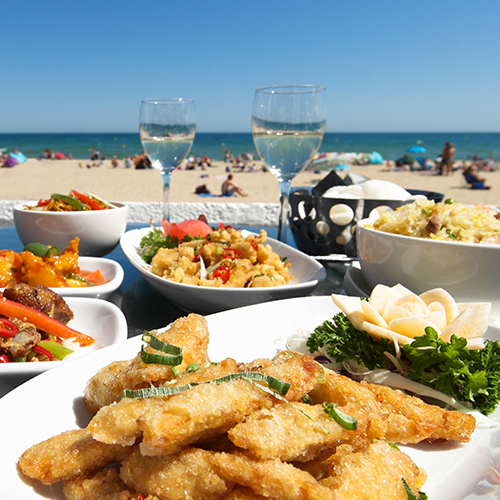 Ocean Palace at Sandbanks opened at the Sandbanks Hotel in June 2016 as a ‘pop-up’ and is now a permanent feature in the hotel – open for lunch and dinner throughout the week, overlooking the Blue Flag Sandbanks Beach. 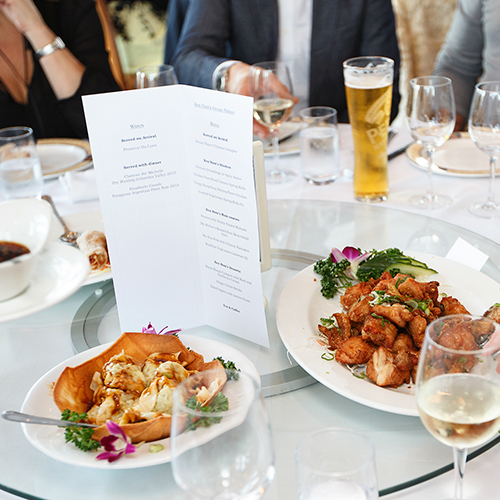 Fancy trying this new menu inspired by Ken Hom? Call to book your table 01202 707377. 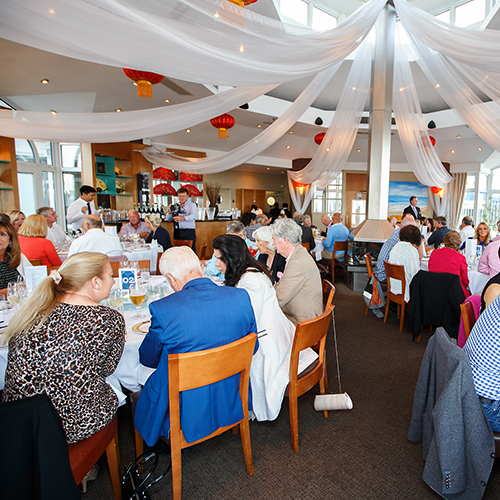 Open for lunch and dinner throughout the week, overlooking the Blue Flag Sandbanks Beach.